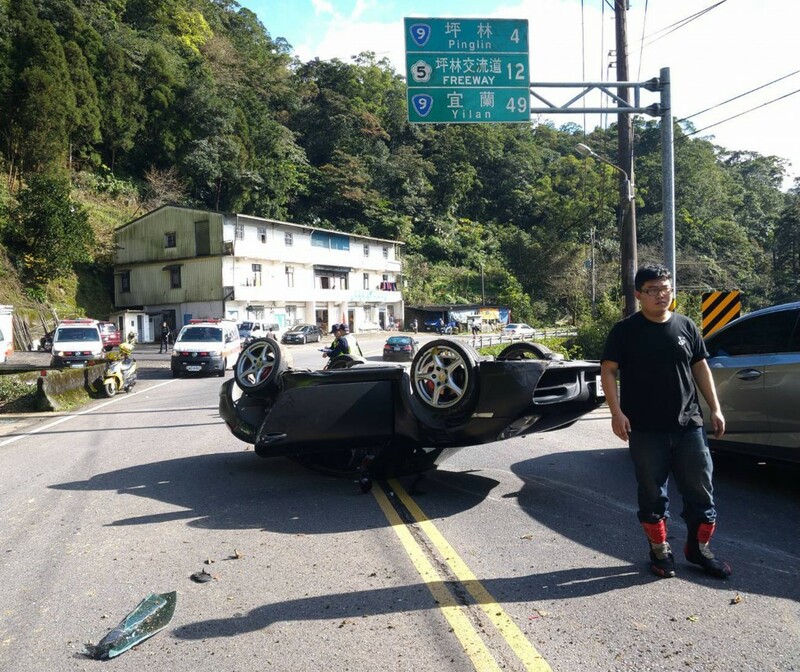 TAIPEI (Taiwan News) - A Porsche overturned on a road between Taipei City and Yilan County Thursday, but both women inside escaped without severe injuries. 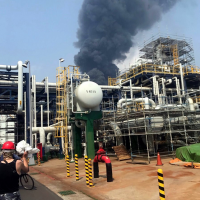 The accident occurred in the early afternoon in the New Taipei City district of Shiding, close to Pinglin on the road between Taipei and Yilan City, the Central News Agency reported. 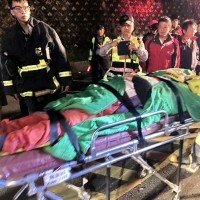 Preliminary analysis concluded that the sports car had spun out of control in a bend and hit a hillside before overturning and ending upside down in the middle of the road. 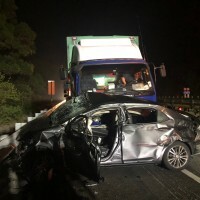 The driver, a 27-year-old woman surnamed Chen (陳), and her passenger, a woman named Hsiao (蕭), 29, were taken to hospital with light injuries to the hands and head respectively, CNA reported. A police investigation still had to find out the precise conditions and causes for the accident, but officers said that a breathalyzer test showed the driver had not been drinking. 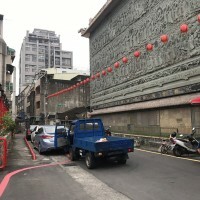 The car was towed away and traffic restored around 2:42 p.m., according to CNA.